The list includes some very basic designs as well as a few that are more advanced, and even heirloom quality. Choose some soft fabrics and start sewing! 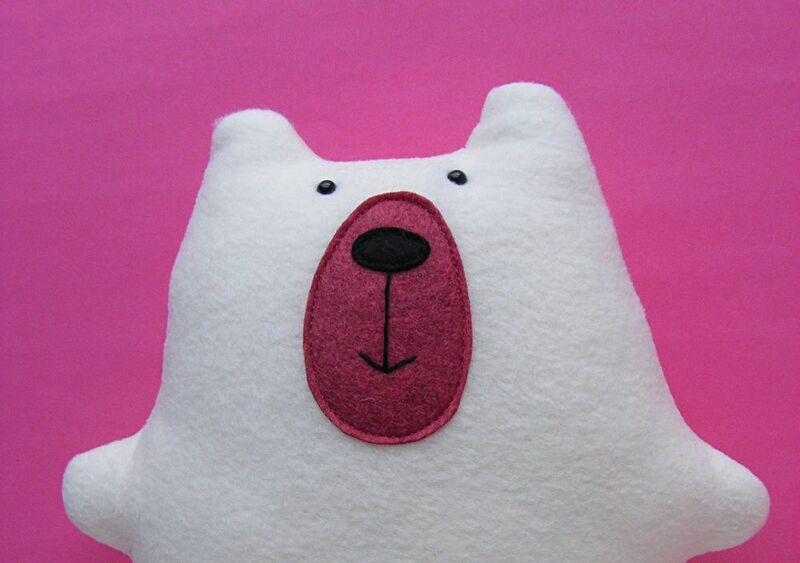 Want to sew a teddy bear that's not too complicated? Then you'll love Warren the Charity Bear! This pattern was designed as a way to make toys to donate, which means you can make a lot of them in a short time. But just because you're making many teddy bears, it doesn't mean they all need to look the same. Wendi from Shiny Happy World shows you ideas to give each bear its own personality! Designer ​Betz White shares this cute and cuddly teddy bear pattern from her book Present Perfect. Instead of a step-by-step tutorial, this one comes as a complete downloadable PDF with pages from the book. 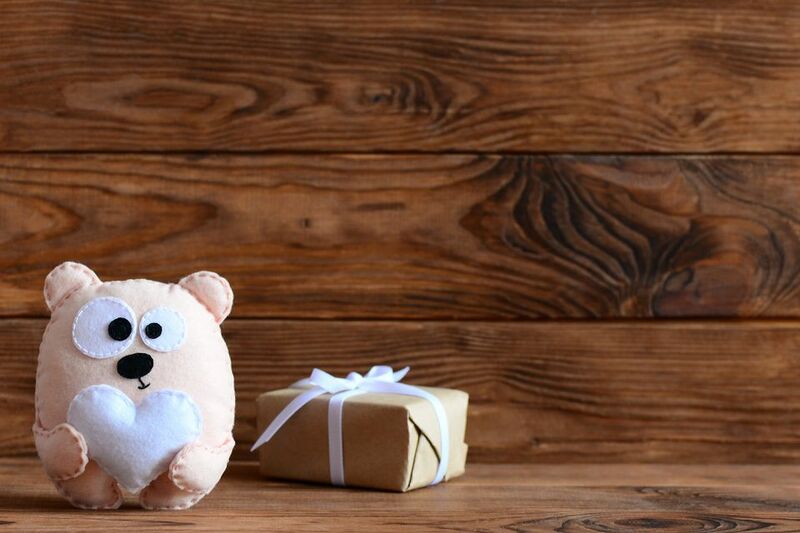 The idea is to make these bears as gifts, but with such a sweet style, you'll want to keep one for yourself too! For a classic teddy bear that is likely to become an heirloom, look to Purl Soho's free pattern. They recommend using high-quality wool and Liberty of London Tana Lawn to create this treasure for the child in your life. This cuddly teddy bear has a few facial features sewn to the front, but the rest of the bear is just a simple front and back. You don't even need to turn it right side out if you make it out of felt or fleece. That makes this bear a great project to make with kids as they learn how to sew! When a baby outgrows their adorable little clothes, it can be hard to get rid of them. Instead of donating them, keep the memory of those times when you sew those clothes into a tiny memory bear! The result is something that both kids and parents will love to hold onto. Abby from While She Naps is known for her amazing stuffed animal patterns and this free mini backpack bear is no exception. It's such a fun way to send a soft toy along with your kids as they head to school! In addition to this and her free Pete the Bear pattern, Abby also has a pattern for another sweet teddy bear with a blankie! You can sew this sweet teddy bear with your kids! You don't have to turn the project, so the edges remain raw, and that makes it a little easier to sew. Plus, you can alter the look with different face placements, or even transform this bear into another animal! This teddy bear (along with his bunny and kitty friends!) has a fun style to it that makes it good for both giving and keeping. Sew it from fleece or a snuggle fabric for a stuffed animal that everyone wants to hug. For another fast and easy teddy bear pattern, look no further than this baby bear design from Maya at the blog Sew Toy. The extra details of the heart and rosy cheeks make what would be a very simple design into a loveable, huggable, and very cute soft toy. Although this adorable little bear is good for hugs, it's real intent is to help kids practice their buttoning skills! The free pattern includes designs for simple clothes that attach to the front (and the back, if you'd like) with basic buttons. The process of making the bear and the clothes are easy enough for older kids to make on their own and then give to a younger sibling!